Ghosts, Spirits, The Paranormal, Satanic worship & more. The Haunted Lillydale Caves of St. Paul, MN. Un-edited footage taken for cable show of these 3 cemeteries can be yours! My Search for Lillydale Caves of St. Paul, MN. A Total of Over 41 minutes of Footage. What I felt, Heard and Seen and went through at these locations. web site: The Unexplained World. Praise: great value on hard to find item! Praise: received video good job filming thanks, pete. if he has it, buy it A+A+A+A+. Praise: Great product,very fast shipping.. Would buy from again. Praise: Speedy, great transaction. Wonderful Item. 'House' that appears at times. a regular VHS tape. A total of over 41 minutes of footage that includes my Bonus for you listed below . Lillydale Caves of St. Paul, MN. and you can own it today. Details are below the photos below. 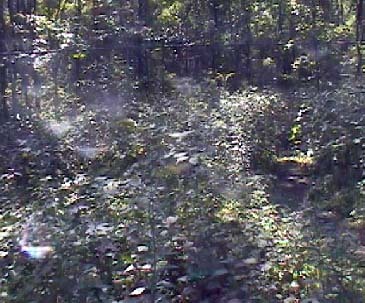 "May The Spirits Be With You"
my web site) - screaming face in the ground and arrow above that - face on side of tree. The video shows the whole location. This photo was taken while I was video taping. e-mailed me after the photos were up at the web site and told me to take a closer look at this one - as she seen faces in it. A lot of weird stuff in this photo - it was taken at 12:30 PM. This is not morning dew. Here is another image that was taken while I was out there taping the footage on the video that can be yours of the haunted Bachelors Grove Cemetery. Here is another image from my day of taping there. 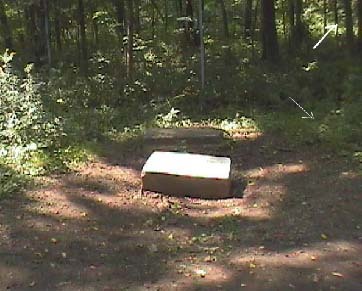 Amy also pointed out that whole area to the left of the back head stone. From the black mark to what is around the black mark and the way the image looks. 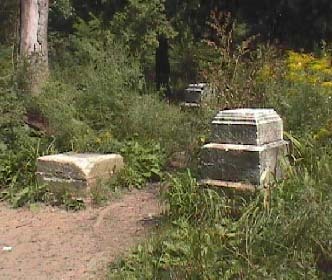 Also the head stone on the right and above it on the right side. Spirits and Ghosts is the History of Bachelors Grove. I'm selling the video through: E-bay. I ship Priority Mail Only! E-bay payment sales, M.O. & Cashiers Check when received. You can order direct by mail. Send your payment: for $15 (and includes shipping in USA). (Personal Checks will take up to 10 working days to clear). This way I can prepare it for when I receive your payment. Who is Edward 'Sun Ray' Shanahan?